Client To Lawyer: Listen to Me! So often in life people get things exactly backward. Many lawyers, even great lawyers, see themselves first as accomplished advocates and gifted orators, and therefore in client meetings these lawyers will speak “at” their clients, dispensing their “expertise” and dominating the conversation. On and on and on. This is a mistake. These lawyers presume wrongly that the client has scheduled a meeting to hear the lawyer’s latest thoughts on case strategy, or that the client wants an extended briefing on the status of discovery or the latest trial motion. This is almost completely wrong. Clients want to be heard. They want to be understood. They want their attorney to listen. And not just listen, but listen deeply. I get it. The client has entrusted the attorney with a huge responsibility. The client has handed over her case to a professional to manage and maneuver it through the dense thicket of the legal system, and to handle the case well enough to achieve a successful outcome. But it’s more than that: the client has handed over her story to the attorney. There is so much more involved in a lawsuit than merely grinding through discovery, dispositive motions, mediation, and trial. The lawyer is responsible for building the story of the client’s case. And every case is a compelling story. It’s the lawyer’s job to hear it. A woman has hip replacement surgery, and one part of the artificial hip fails inside the woman’s body, requiring her to undergo revision surgery. Is that the story? Not even close, no more than an emoji of a round face crying adequately conveys the narrative of a person going through divorce or the loss of a loved one. Rather, the woman with the failed artificial hip has a unique story. The pain after the initial surgery may have caused her to be unable to do her job, a job she loses a few months later. And perhaps the pain makes it impossible to get a good night’s sleep, which has the effect, after several weeks of near-sleeplessness, of pushing the woman into depression. She can no longer walk with her husband, or play on the floor with her two-year old grandson, or tend to her beloved rose garden. Beyond those issues, there is the pedestrian stuff: managing of the medical bills, and seeking unemployment benefits, and responding to the hospital’s monthly letters for payment for additional X-rays and CT scans and doctor’s visits and extra physical therapy. Because here’s the thing: in my experience the story is often as important to the client as the outcome of the case. Of course, every single client hopes to be fairly and fully compensated for an injury caused by the negligence or greed of a corporation in a rush to get a medical device on the market. And should be. But injuries caused by a failed artificial hip or knee are deeply disruptive to a human life. In many cases the person’s life is changed forever. Perhaps the person is left with a permanent limp, or is never able to find another job, or must fight against a new addiction to pain medications. The person has to be given the space to share this experience with his or her attorney. I am convinced it is one of the most important roles the attorney will play through the life of the litigation. In almost every introductory meeting with a prospective client, I often find myself listening, for hours at the stretch, to the person’s story. I find each story interesting and unique. Many times I look at my watch and two hours have passed, and I have said perhaps twenty or thirty words. That’s fine. That’s how it should be. It may well be that the next meeting will turn out exactly the same way. That’s fine too. There will be plenty of time for me to explain what is occurring with the case, or the latest developments in the search for the proper expert witness. Don’t get me wrong, it is not always easy for me. Sometimes the story is agonizing, and it can be painful to sit through. We are all troubled by the suffering of others. After some meetings I am exhausted, and I will collapse in a chair in my office. Sometimes I simply leave the office early and go for a run. But I never fail to understand that it is critically important for the client to be able to tell his or her story, completely. 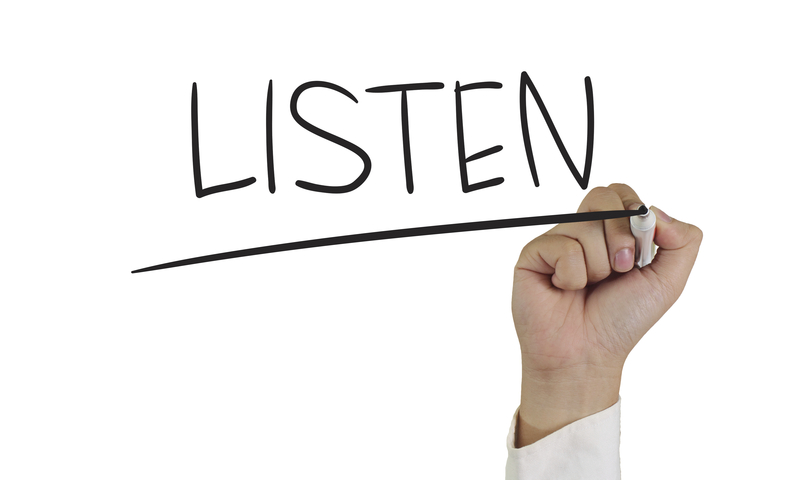 So lawyers need to listen: intently, deeply, for as long as it takes. Clients should never hesitate to expect that their lawyer will listen carefully to all the details of their story. And if your lawyer will not listen to your story, find a new lawyer. Note: This article does not reference any particular client or case.